Founded in 1992, Magicard is a pioneer of ID card printing technologies with a full range of desktop devices to meet any local, on-demand, secure ID card issuance requirement. Magicard printers are renowned for their built-in card security features, including the HoloKote® secure watermark. All Magicard printers can also encode smart cards in-line with printing. Magicard’s reputation for innovation and differentiated products is underpinned by its experienced team of UK-based expert engineers. Design, new product development and all manufacturing are located centrally at its headquarters in Weymouth, UK. Magicard has additional sales and support centres in the United States, Dubai and China. There are also Magicard sales hubs in Northern Europe, Eastern Europe, South East Asia and India. 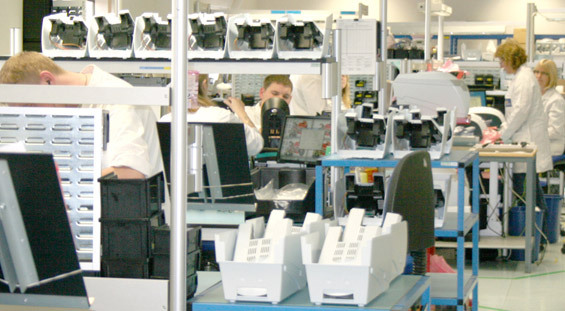 Tens of thousands of Magicard printers are shipped from its UK manufacturing centre to more than 100 countries each year. Magicard printers are trusted to print millions of secure ID cards annually for corporates, schools, governments and infrastructure facilities throughout the World. Applications range from membership, physical and logical access control cards right through to secure IDs such as Drivers Licences and National ID cards. In addition to ID card printers, Magicard’s other product offers include TrustID desktop ID card issuance software and UltraSecure smart cards. Magicard Holdings Ltd. is an independent UK registered company with two subsidiaries, Weymouth-based Magicard Ltd. and Magicard US INC, based in Redmond, WA in the USA. Our mission is to provide outstanding support to our customers, grow our market share with differentiated products and enhance trust in identity worldwide. Employee appreciation – We appreciate our team, encourage their development and reward hard work, effort and performance. Approachable – Staff, from all departments and on all levels, must always be approachable to customers. Quality – We provide outstanding products and a market-leading service that, together, deliver first-rate value to our customers. Trustworthy – We provide reliable solutions to enhance security and identity worldwide. Magicard is a trusted manufacturer positioned prominently in the identity industry. Longstanding – The integrity and stability of the Magicard team means customers can be reassured of our continuous support and innovative thinking.